If you attended our January 12th GrowthCLUB, you’ll recognize the slide to the right. 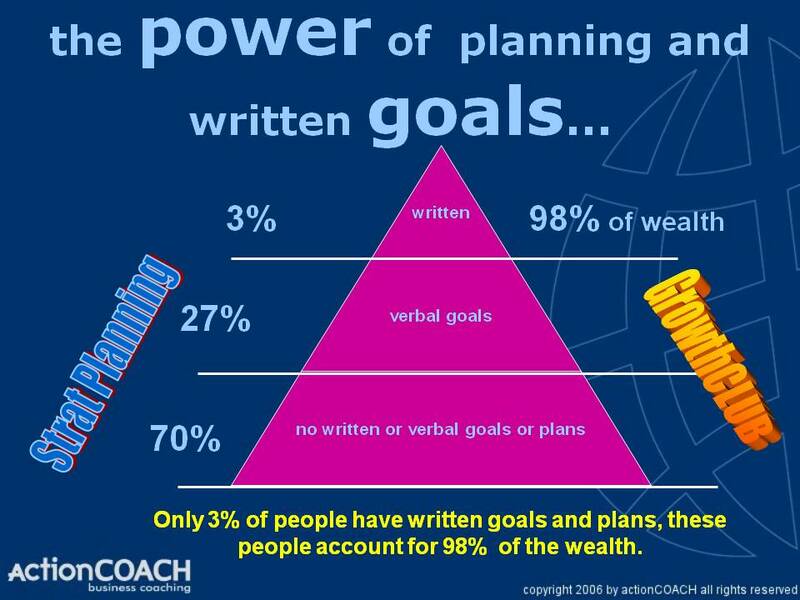 Only 3% of people have formal written plans, but it’s these 3% who generate 98% of all the wealth. 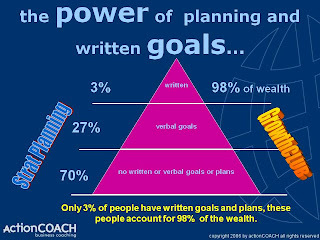 So what should you do, right now, to build out your 90 day plan and start on the path to wealth? Translate your goals into SMART goals. A SMART goal is specific, measurable, achievable, relevant and time based. More on this below. Identify the resources you’ll need to achieve each goal. Schedule tasks and milestones required to achieve your goals in your calendar. Determine how you will reward yourself for achieving each milestone and goal. At the same time, decide how you will penalize yourself if milestones associated with the goal aren't met. Download our SMART goal planner. Complete the planner for each of your 10 90-day goals.